Elizabeth Ramos received a bachelor’s degree in Violin Performance from the Cleveland Institute of Music, and a master’s degree in Suzuki pedagogy from the Hartt School of Music. Her teacher-trainers have included Teri Einfeldt, Edmund Sprunger, Nancy Jackson, and Edward Kreitman. Ms. Ramos specializes in developing beginning students to have a perfect setup, flawless intonation, and skillful technique. Beginning violin students must be 4—8 years of age. Parental attendance at all lessons is required, as well as involvement in the home practice. A minimum of 5 days of practice is expected every week. All of Ms. Ramos’ beginning students listen to the Suzuki Violin CD daily. Ms. Ramos’ advanced students are dedicated to the study of violin, and work hard to perfect their skill. They include current or former members of Missouri All-State Orchestra, the St. Louis Symphony Youth Orchestra, and the Preparatory Program at Webster University. Advanced students wishing to study with Ms. Ramos are advised to practice a minimum of 7 hours a week, and are expected to perform regularly in recitals, masterclasses, and auditions. 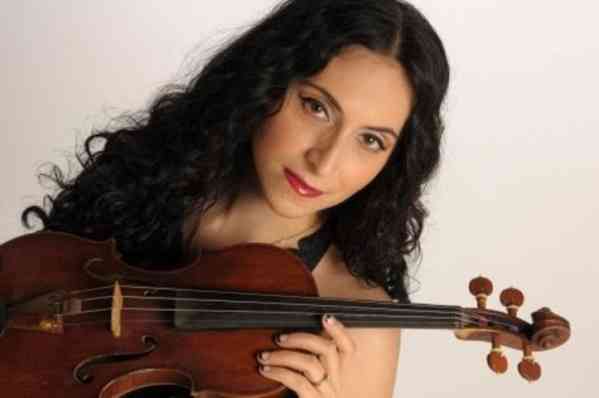 In addition to teaching, Elizabeth Ramos enjoys a career as a freelance violinist. She has performed twice at Carnegie Hall, and performs regularly with the Kingsbury Ensemble and Chamber Project St. Louis. In 2011, Ms. Ramos accompanied famed pop group “The Black Eyed Peas” at the Edward Jones Dome, and more recently, performed with singer and pianist Stevie Wonder at the Scott Trade Center. Elizabeth Ramos currently resides in Tallahassee, FL where she is working towards a doctorate in violin performance from Florida State University College of Music.